Today the 2014 Nobel Prize in Physics goes to Isamu Akasaki, Hiroshi Amano, and Shuji Nakamura. Don't be surprised if those names aren't familiar, because what they did to earn a Nobel Prize was done about 20 years ago. Even if their names aren't common, their invention is very common now. They are the inventors of the blue light emitting diode (LED). This, now is a truly amazing innovation for many reasons. 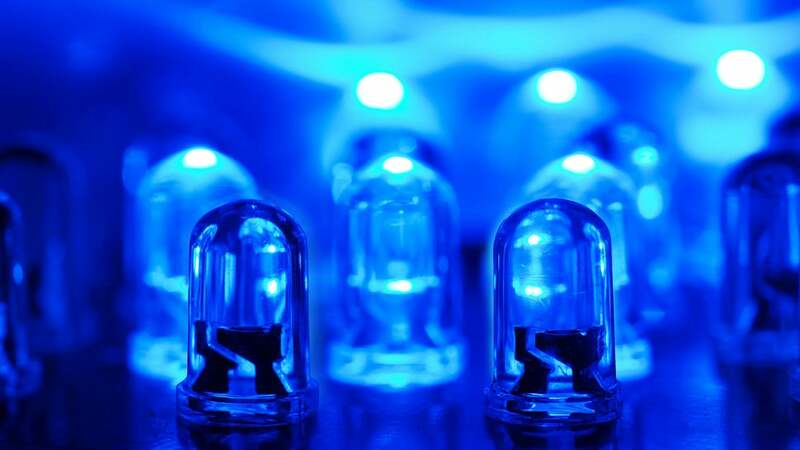 For years red and green LEDs we very common, but creating blue was ever elusive. In order to make white light, all three colors (red, green, and blue) are required to create white light. What that, then, allowed is the ability to create a very low power white light, and white light bulbs. Not only that, but that also allowed is the invention of the RGB LED, and the RGB LED addressable panel. These inventions allow for awesome creations like this! What does this have to do with Dynamics? Not a lot actually, but if you're interested in the science of crap in motion, then you are probably interest in this as well!